Entertainment Software is one of the fastest growing industries in the world economy. In fact, Digital Games have become mainstream media, with nett earnings even surpassing that of the film industry. 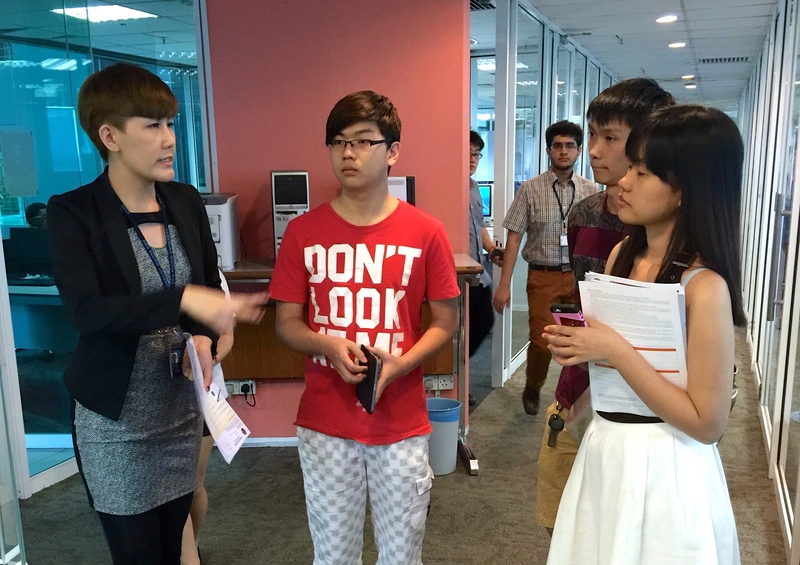 The increased demand for games is good news for students who are interested to design games as a career in Malaysia. Job opportunities have increased for well trained game developers from top private universities in Malaysia. Students after SPM or O-Levels may go for the Foundation in Computing & Technology or Foundation in Arts a top private university in Malaysia for 1 year before continuing on to the 3-year Computer Games Development or Game Design degree. With 3 credits in SPM or O-Levels including Maths, students may go for the 2-year Diploma in Information Technology or Diploma in Game Design and then enter into Year 2 of the Computer Games Development or Game Design degree. Pre-University students with the relevant results in STPM, A-Levels, SAM, CPU, AUSMAT, etc. can enter directly into Year 1 of the degree. School of Computing and Creative Media — is offering the Bachelor of Game Development (Hons) and Foundation Studies (Art and Technology) programmes. A press release said the Bachelor’s degree programme allows students the option to specialise in any one of the three discipline tracks in Game Development — Game Art, Game Design and Game Technology. The school is pioneering the concept of ‘technological artistry’ in Malaysia, an approach to incorporate creativity into technology in order to produce graduates who will be the bridge between the two fields. It is also spearheading MyGameDev2020, an Entry Point Project Initiative under the Performance Management and Delivery Unit (Pemandu) Education National Key Results Area (NKEA). institutions and industry sectors to create a high income, sustainable creative economy in the area of Game Development for Malaysia. “The potentials of the industry are ripe for the picking, and the timing is ideal for Malaysia to seize this opportunity and enhance its global footprint in this sector,” said School of Computing and Creative Media head Tan Chin Ike. Game Development (Hons) programme has adopted Codemasters Studios’ benchmarking and standards for curriculum and assessment methods. This collaboration is crucial in creating talents who will require minimum training for integration into this industry. “We are not merely talking about quantity, but world-class quality which we can and have already achieved. We now have many local studios in Malaysia currently working on the next-generation game titles for the latest consoles. The quality will blow your mind. “Look at the end credits of films like ‘Alvin and the Chipmunks’, ‘Yogi Bear’ and ‘X-Men: First Class’. You will notice Malaysian names. The art for DiRT3 and Grid 2, both racing video games developed and published by Codemasters Studios, was mostly done in Malaysia by Malaysians. In fact, Malaysian talent has helped Ang Lee’s blockbuster movie ‘Life of Pi’ win an Oscar for Visual Effects as well,” said Tan. 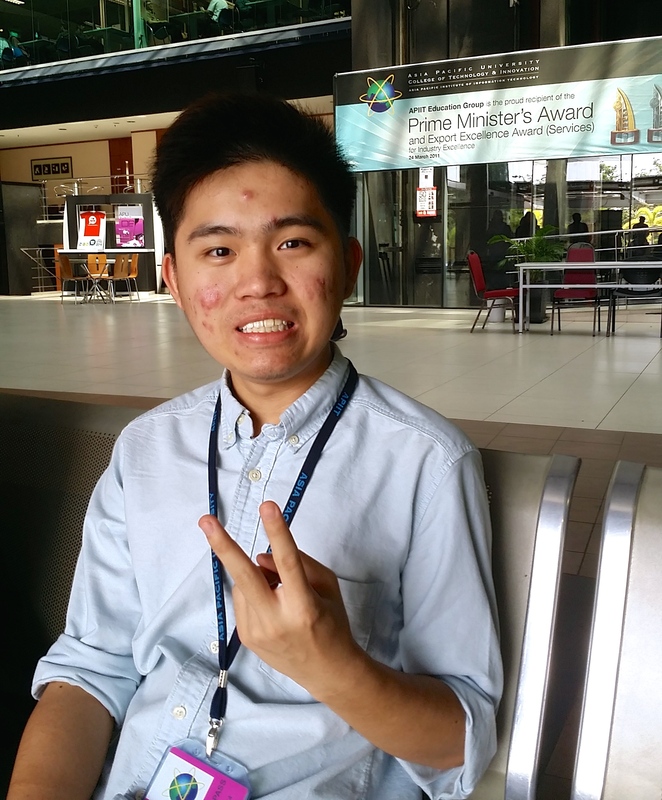 As such KDU University College Utropolis Glenmarie Game Development students are favourably received by the industry, and Tan is confident of a 100 per cent employability rate upon graduation. “Because our teaching staff are predominantly from the industry and with their invaluable wealth of experience both in teaching and in developing games, our students are taught the production and pipeline techniques used by the actual game development industry, thus making them generally well-accepted into the fold. “In fact, an international major game developer told us that our course actually met their expectations in terms of syllabus and, more importantly, outcomes for talent development,” he said. KDU University College’s E3-Boosters, a newly introduced initiative, is expected to further enhance student employability. Comprising three core elements — English Proficiency, EQ Development and Entrepreneurship — the initiative ultimately aims to groom individuals with good interpersonal skills and who are confident team players and problem-solvers with a positive attitude to learning. 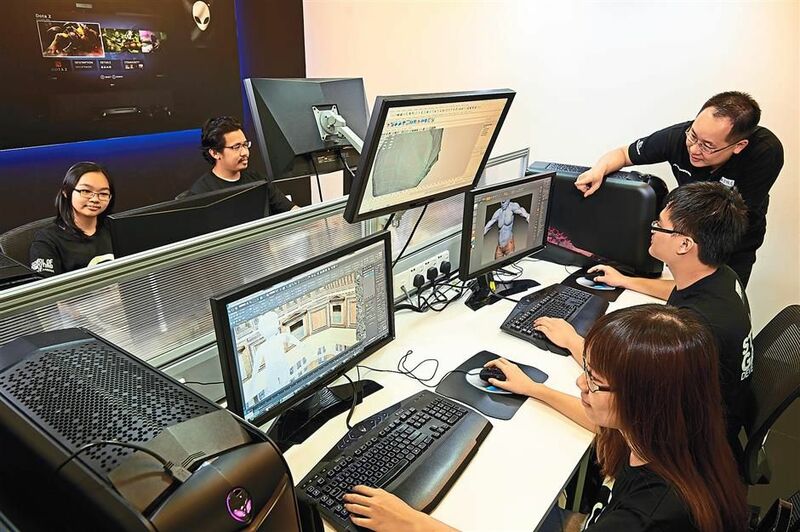 KDU University College uses state-of-the-art Dell Alienware machines in its lab to educate students on game development and keep them abreast of all the latest technologies. 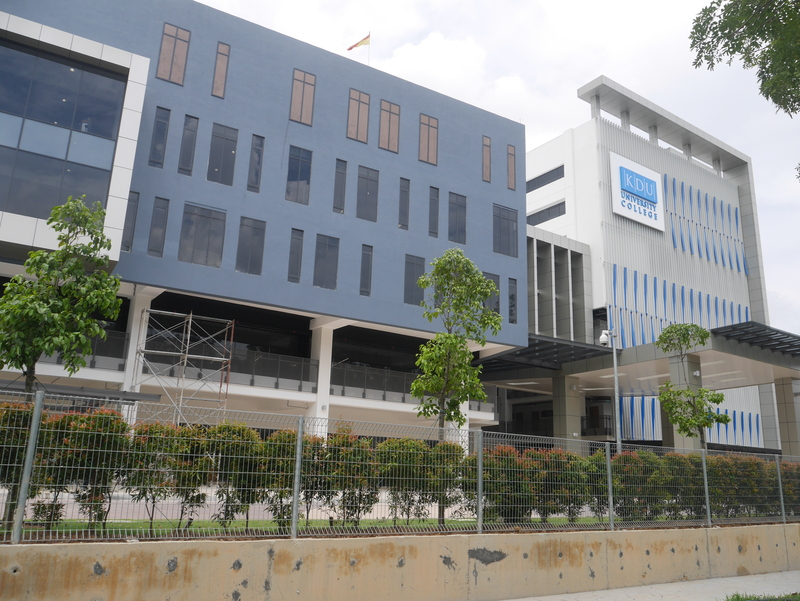 KDU University College features a state-of-the-art game development studio that is fully equipped with Alienware desktops and a games research and recreation room with the latest games and consoles. The career opportunities open to graduates in this field include game artists, designers, scripters, testers and programmers. Game Development market share is currently valued at US$72 billion, with net earnings that surpass even that of the film industry. In September 2013, Take-Two Interactive’s Grand Theft Auto 5 crossed US$1 billion in sales in just three days, making it the fastest selling property across all forms of entertainment. 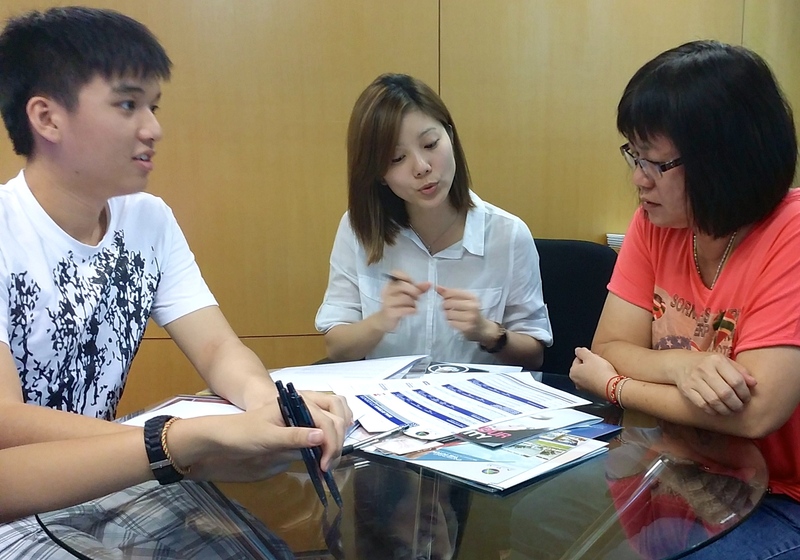 EduSpiral took my father & I to visit KDU University College and talk to the Game Technology lecturer & Head. I was able to make a good decision in choosing the right university. Awarded an Entry Point Project under the Malaysian Government’s Economic Transformation Plan (ETP), spearheading the Game Development Industry in Malaysia. MyGameDev2020 is an initiative spearheaded by KDU University College that represents the start of a strategic collaboration between educational institutions and industry sectors. KDU University College collaborates with Codemasters Studios to develop talent and to build national awareness. Bachelor of Computing programme won the central zone category for the MyInovasi 2012 competition, a competition organized by the Ministry of Higher Education to promote innovation and creativity. mainstream with net earnings surpassing that of the film industry. The global market for electronic games is expected to grow from $67 billion in 2012 to $82 billion in 2017. The electronic game industry shows no signs of slowing down with a projected compound annual growth rate of 10.3 percent. In light of this incredible growth – there is a pressing need for game developers with very specialized skills – this degree course aims to cultivate high quality graduates familiar with production processes and aware of what is needed to produce successful games. disciplines. If you have a keen eye for visual aesthetics and 3D Modelling, consider being a game artist. If you enjoy analyzing, writing stories and crafting experiences, opt to be a game designer. If you love mathematics, problem-solving and going through lines of codes, make game technology your preferred major. KDU University College is collaborating with Codemasters Studios to develop talent and to build national awareness. This collaboration is also aimed at adopting the industry benchmarking and standards for curriculum and assessment methods in our delivery. Codemasters Studios is one of the Britain’s oldest video game development companies and is considered Europe’s largest independent games company with nearly 700 employees worldwide. Graduates from Asia Pacific University will receive a UK Dual Award degree from Staffordshire University. An impressive 95% of APU’s graduates obtain jobs before graduation. Students after SPM or O-Levels may go for the Foundation in Computing at Asia Pacific University for 1 year before continuing on to the 3-year UK Dual Award BSc. (Hons) Games Development degree. With 3 credits in SPM or O-Levels including Maths, students may go for the 2-year Diploma in Information & Communications Technology or Diploma in Information & Communications Technology with specialism in Software Engineering and then enter into Year 2 of the BSc. (Hons) Games Development degree at Asia Pacific University. 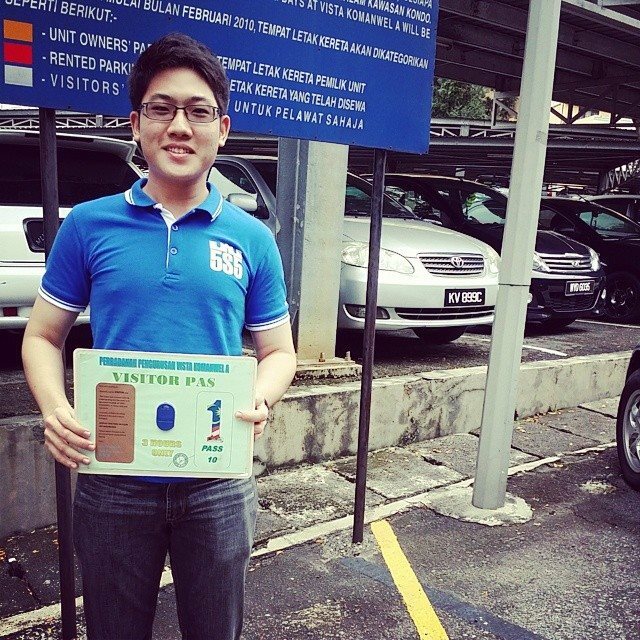 Pre-University students with the relevant results in STPM, A-Levels, SAM, CPU, AUSMAT, etc. can enter directly into Year 1 of the BSc. (Hons) Games Development degree. Entertainment Software is one of the fastest growing industries in the world economy. In fact, Digital Games have become mainstream media, with nett earnings even surpassing that of the film industry. 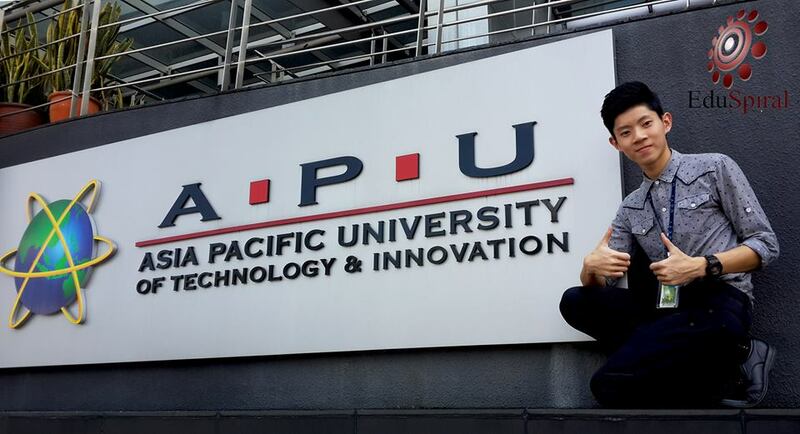 Asia Pacific University (APU) is one of the best universities in Malaysia for IT and computing studies, hence, making it an excellent choice for students interested in pursuing their students in Game Design. The degree combines computer programming and mathematical disciplines with aspects of games design. You will acquire a wide range of skills including programming, systems architecture, multimedia technologies, human computer interaction, graphics, animation, sound and video. Additionally you will develop a strong appreciation of the software design and management processes and principles. On completing the programme you will be able to demonstrate creativity in problem-solving and decision-making in complex situations and also creativity and imagination in design situations. Throughout the programme, you will have the opportunity to strengthen and demonstrate your initiative, personal responsibility, personal enterprise, self-reliance and self-direction – all essential skills for a games programming professional. 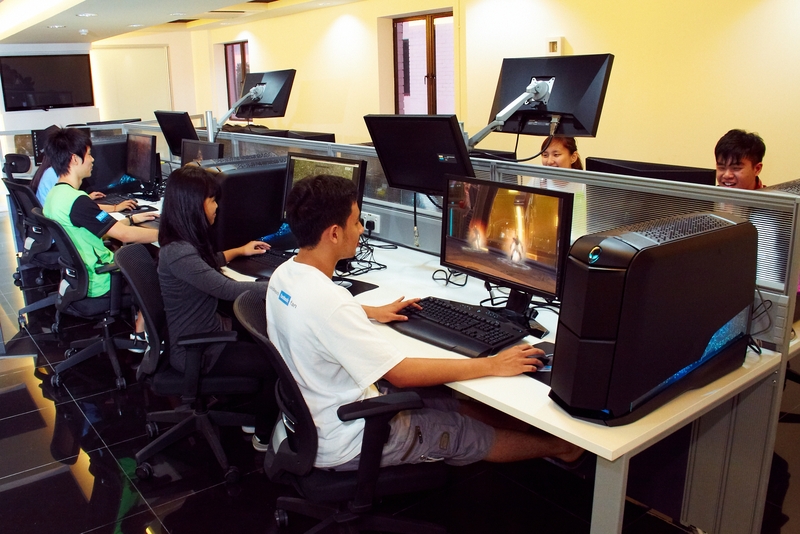 The computer games programme at Asia Pacific University benefits from outstanding IT facilities. The teaching team enjoy very good relationships with local and national games employers; their feedback informs the development of the programme’s modules and some also deliver guest lectures. Knowledge, skills, and abilities required by a technical professional in the field of computer games. The ability to critically evaluate the design, logic, and implementation of computer games. Facility with advanced techniques for computer graphics and 3D digital animation. The focus of this degree is the technical aspects of designing and developing interactive computer games – there is little emphasis on ‘creative’ design elements. Modules that provide a foundation for any IT professional include System Analysis & Design, Fundamentals of Software Development, and Introduction to Programming. Introduction to Management and Computing & IT in the Workplace provide a foundation for multidisciplinary education and understanding personal and organisational development. The specialised modules cover the essentials of computer game logic design and interaction of game elements. Important and relevant skills for independent learning are introduced throughout this level. the two Games Design modules take you through the complete production lifecycle. Basic 3D Computer Character Modelling and Imaging & Special Effects introduce the context of digital representation and manipulation that is the foundation for animation. In Computer Graphics you will be introduced to APIs that implement graphical transformation algorithms. Animation and digital image manipulation are key areas of study at Level 3. Along with independent learning, a common theme in all APU ICT awards is fostering creativity and innovation in individuals and teams. These themes are the specific focus of the Creativity & Innovation and Research Methods for Computing & Technology modules. The focus of Level 3 is further development of relevant technical skills and the ability to apply these skills with strong critical thinking and analysis. Advanced techniques for computer graphics and animation are built on the skills acquired at previous levels, and audio for computer games is introduced. HCI and Usability and Mobile Multimedia & Gaming present approaches to designing and evaluating applications with an emphasis on the user perspective. General personal and professional development is enhanced in Project Management, while Innovation Management & New Product Development continues the theme of generating new ideas and creating new products. The Computer Games Development Project also develops the academic and practical aspects of your chosen areas of study and reinforces your independent learning skills. This is where you will demonstrate higher level critical thinking, analysis and solutions development skills which will enhance your employability. Primarily involved in designing and developing interactive games to be deployed over a wide variety of platforms, using a wide range of techniques. Jobs include Games Programmers, Games Developers and others. The Dual Degree Programmes are offered through a unique collaborative partnership between APU and Staffordshire University, United Kingdom, through which Staffordshire accredits undergraduate programmesthat are designed and delivered by APU. On completion of the programme, students will be awarded two undergraduate degree Certificates and Transcripts: one from APU and one from Staffordshire. The APU-Staffordshire Dual Degree Programmes are offered under an approved collaboration in accordance with the Code of Practice for the Assurance of Academic Quality and Standards in Higher Education as published by the United Kingdom Quality Assurance Agency’s (QAA). APU’s academic programmes are all approved by the Ministry of Higher Education of Malaysia and the qualifications are accredited by the Malaysian Qualifications Agency (MQA). Students after SPM or O-Levels in the northern region of Malaysia who are interested in pursuing a top computing diploma can consider the 2-year Diploma in Games Technology or the Diploma in Computer Studies at KDU Penang University College. Upon completion of the diploma, graduates can continue on into Year 2 of the Bachelor of Computer Science (Hons) in Games Programming degree UK dual award from a top 50 UK university. The Bachelor of Computer Science (Hons) in Games Programming degree at KDU Penang University College is to equip graduates with the latest techniques and resources to develop mobile social media and console games. KDU Penang University College offers the UK Dual Award Computer Science degree. Graduates of the Bachelor of Computer Science (Hons) in Games Programming course will receive the degree awarded by KDU Penang University College and University of Lincoln which is a Top 50 Ranked university in the UK. The University of Lincoln is highly regarded for its innovative approach to teaching, learning and engagement, and has been rated the UK’s number one modern university by The Times and Sunday Times Good University Guide 2016. University of Lincoln is also ranked Top 50 in the UK for computer science programmes. 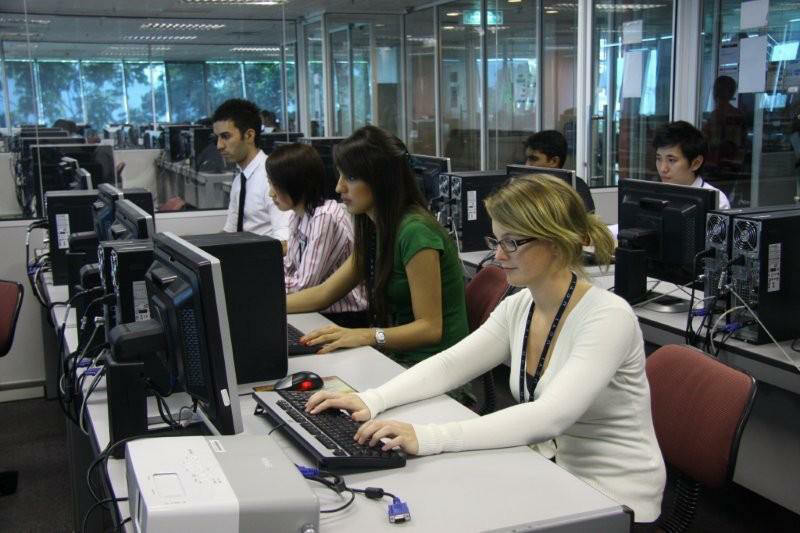 The Games Programming degree at KDU Penang is validated by a leading UK university and upon successful completion of the programme graduates are awarded two degree certificates. The courses in this degree offer students the ability to study and explore game design and programming, 3D graphics, game engine programming and other specialist topics such as artificial intelligence and social gaming. ** Students will choose 3 courses from the Field electives. Two with 3 credits and one with 4 credits. In the 2017 League Table Ranking for Computer Science by the Complete University Guide, University of Lincoln is ranked 47th. Why the University of Lincoln, UK? The University of Lincoln is highly regarded for its innovative approach to teaching, learning and engagement, and has been rated the UK’s number one modern university by The Times and Sunday Times Good University Guide 2016. Lincoln is proud to be home to world-leading researchers who are making profound contributions to their subject areas. More than half of the research submitted by Lincoln to the national Research Excellence Framework (REF) 2014 was judged to be internationally excellent or world-leading (3* or 4*) – the highest scores possible. 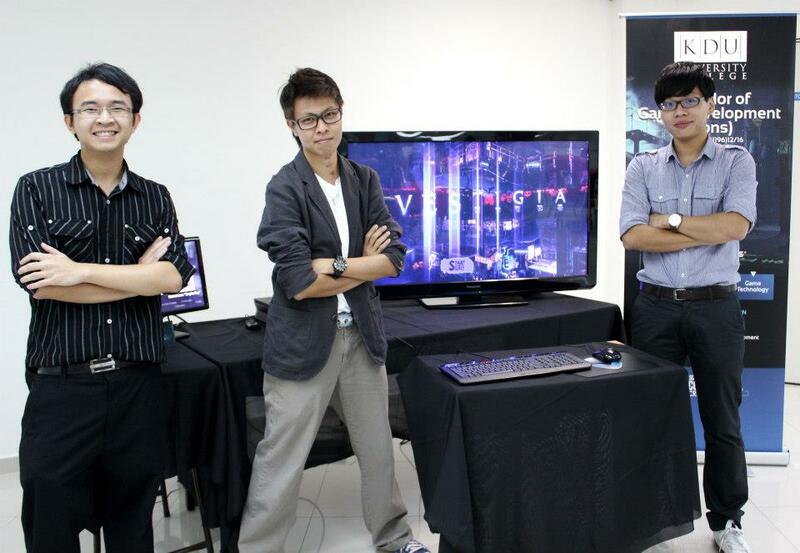 KDU University College offers the degree in Games Development. Students have access to Alienware in their Game Lab. The worldwide video game marketplace, which includes video game console hardware and software, online, mobile and PC games, reached $93 billion in 2013, up from $79 billion in 2012, according to Gartner, Inc. Driven by strong mobile gaming and video game console and software sales, the market is forecast to reach $111 billion by 2015. Mobile games are the fastest-growing segment of the market, with revenue set to nearly double between 2013 and 2015 from $13.2 billion to $22 billion. “As mobile devices (smartphones and tablets) continue to grow, the mobile game category will show the biggest growth due to the entertainment value provided by games compared with other app categories,” said Brian Blau, research director at Gartner. According to PWC, Mobile is delivering a new generation of gamers.Global mobile games revenue is forecast to reach US$15bn in 2018, rising at a CAGR of 9.6%. China, Japan and the US are key markets. Only advertising revenue, which is still relatively small, will grow at a faster rate within the video games segment. Rising smartphone ownership is increasing access to mobile games globally and has enabled innovation in gameplay and business models. However, production values are very high and costs of development are rising partly due to heavy demand, lack of specialized and qualified skilled workers, and the pressure to deliver more within an increasingly shorter amount of time. The new Games Design Lab and its accompanying Games Lounge, both costing some RM300,000 invested by KDU College Penang. with very specialized fields of study. Games technology covers a wide area that includes simulation, programming and adventure features for use in areas such as entertainment, gaming and multimedia. If you’re looking for a career that combines creativity and technical IT skills, then this course is perfect for you, as you will be able to explore games as both a technical and an entertainment medium. The Industry is growing at an incredible rate and shows no sign of ever slowing down. Almost everyone plays games in some form. Malaysia has about 700 people currently employed in the games industry, a figure that is hoped to grow considerably in the coming years. Moreover, the country is home to companies that produce a sizeable amount of content. The video games market in Malaysia is poised to grow at a compound annual growth rate (CAGR) of 6.8% between 2011 and 2015. Growth will be supported by the growing spending on game applications, especially social and mobile gaming, which will be four times more than spending on music. According to industry observers, the platform has undergone a lot of growth that there is tremendous opportunity in the mobile and social game monetisation space. The International Game Developers Association (IGDA), Malaysia, lists up to 48 game companies, 10 of which engage in co-production with foreign partners. Employment is on-going both for the technically-inclined as well as for those in design, marketing and business backgrounds. MULTIMEDIA Development Corp (MDeC) aims to make Malaysia the regional hub for games and interactive media within the next three years due to the explosive growth in the business. According to the 2014 global games report, the international games market will breach the US$100 billion (RM350 billion) mark before hitting US$102.9 billion by 2017. This represents a compound annual growth rate (CAGR) of 8.1 percent, outstripping the previous year’s estimate due to the relentless growth of both Asian markets and mobile gaming, said MDeC chief executive officer Datuk Yasmin Mahmood. “This is indeed an exciting prospect for all of us, especially to the growth of the games industry,” she said at the signing of a memorandum of understanding (MOU) between creative animation studio, Lemon Sky Animation Sdn Bhd, with Bandai Namco Studios Singapore Pte Ltd. The Malaysian creative content industry is estimated to be worth RM10 billion. The creative multimedia cluster alone recorded RM6.39 billion inrevenue last year and created over 10,000 jobs. Investment grew by 16 per cent to RM470 million from 2012. 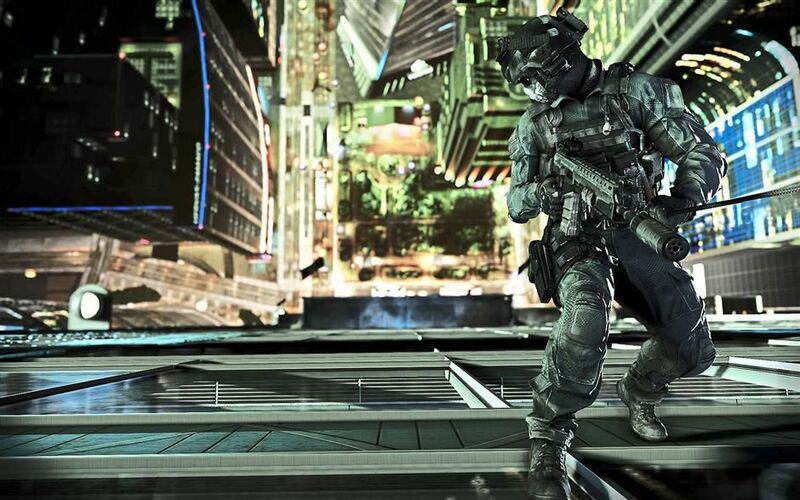 DIZZYING HEIGHTS: Lemon Sky Games & Animation handled part of the art design for 2013’s hit Call of Duty: Ghosts. Yasmin said there were currently 330 local creative multimedia content companies and over 50 Multimedia Super Corridor-status creative firms involved in game-related development activities. She said an action plan was in place to bring foreign anchor game companies and publishers here to collaborate with the local players to develop the industry. “We already have great industry players and many more talents coming in into the industry. With the local talent pool primed and ready for games development art and designs, we have the strong potential to create a good eco-system for the hub,” she said. On the partnership between Bandai Namco and Lemon Sky, Yasmin said it showed the growth of Malaysian creative content industry and its potential to develop into a world-class creative hub. “It will undoubtedly propel the local games industry to greater heights. The partnerships will see new series of projects that Bandai Namco has planned with Lemon Sky next year and expand the latter’s services into full-fledged game development,” she said. Lemon Sky’s chief executive officer Cheng Fei Wong said the agreements would hopefully encourage other players in the industry to penetrate the global market and view the industry as positive in the coming years. To achieve this, private universities in Malaysia are key in nurturing game technology talents. Asia Pacific University, KDU University College , KDU College Penang and HELP University are just some of the higher learning centres offering various IT courses to cater to this market. However, too many students are enrolling for generic IT courses that allow them the flexibility of choice or because it’s an easier option, says Tan. This has resulted in the number of students learning computer science or proficient in programming, logic and algorithms dropping significantly over the years. The reality is that we want specialists or at least people with the propensity to code well and problem-solve, he says. “C++ is one of the crucial programming languages but the honest truth is we want programmers who are grounded in fundamentals so that they can easily adapt and move between languages,” he says. Tan, who is also the chairman of MyGameDev2020, an Entry Point Project under the Economic Transformation Programme for nurturing skilled talents in games development, says that a big company (which he declined to name) was here recently to set up a game development studio and it was not concerned about incentives or infrastructure but rather th e talent pool that would be available to it. Lemon Sky Games & Animation chief executive officer Wong Cheng Fei says there is a shortage of 3D animators and 3D modellers and the studio has been hiring foreign talents to fill the gaps. He also concurs with Tan that our graduates are not trained to handle coding, especially when working on big intellectual properties, as they have no working experience. The lack of working experience is not just a problem with students but also lecturers. Les’ Copaque technical director Syed Nurfaiz Khalid says not all education providers have lecturers with industry exposure. In fact, some universities tend to hire their own students as lecturers after they graduate. This is not necessarily a bad thing but they may have a limited amount of knowledge to impart to their students due to lack of experience. Learning the theory isn’t everything, as practical know-how is equally important for animators, says Syed. Education is crucial to gain the insight and knowledge on how the industry works but the onus is on the graduates to improve their skills and portfolio of work, says Les’ Copaque production director Yuki Tang Ying Sowk. I was lost in choosing the right course. My dad contacted EduSpiral to talk to me. He listened to me & guided me to make the right choice. fact, they are not even aware that there are many areas of specialisation for animation until they come on board. Les’ Copaque provides basic training to all new recruits so that they are familiar with the entire work process, as it has eight sections handling various animation works. After the one-month training, most graduates will be able to handle basic animation works, says Tang. The industry is highly competitive and most companies are looking for the cream of the crop, he says. “Most companies want graduates who can immediately make the transition from academics to actual application because they want to avoid spending money and resource in training them if possible,” he says. The rate is slightly lower for graduates in animation — they can expect to get about RM1,600 to RM2,200, depending on the studio. KDU’s Tan says most graduates have unrealistic expectations and expect to earn at least RM2,400 upon entering the industry even without having to work overtime or on weekends. From the company’s perspective, a fresh graduate with little or no experience is not very valuable because he or she is an unproven element and can’t demand such high salaries. They also may not be able to handle the workload, he says. Even large animation companies have low starting rates, as they want the graduates to work their way up the ladder before they can be paid more. Les’ Copaque’s Tang also says that most graduates today want big money for less effort. “The current generation also has commitment and discipline issues,” she says. largest animation studios in Malaysia, has over 160 employees and up to 80% are fresh graduates. But nothing is set in stone and some graduates with better portfolios have been hired with a starting salary of RM2,800 to RM3,000, Tan says. Also, while graduates are expected to have an appropriate degree, most animation studios are willing to consider even those with totally different backgrounds. Tang says the studio has even hired those with engineering and aerospace qualifications. “On top of passion and technical know-how, animators need to have acting skills because they need to be able to act out what they intend to animate,” says Tang. However, most universities do not place enough emphasis on this, she says. in teams. While ensuring that we have a ready supply of qualified graduates, the industry also needs to find a way to retain talents. Our talents are in high demand and many of them head to Singapore for better opportunities, says Tan. “Medical, engineering and accountancy are often cited as the main professions suffering from brain drain but the creative multimedia industry also faces a similar situation here,” he says. For example, the workforce of Ubisoft Singapore — the French gaming giant’s Asian office — is made up of about 20% to 30% Malaysians, says Tan. That’s why many local studios resort to hiring foreigners in the end to fill up their vacancies, he says. “The simple truth is we need to attract bigger companies to Malaysia. Talents leave because they want bigger and better challenges,” he says. benefitted from the inception of the Multimedia Super Corridor back in 1996. The general perception that the problem facing the industry is about mismatch of graduates’ skillsets is not entirely true, says MDeC director of creative multimedia division Hasnul Hadi Samsudin. Hasnul, one of the founding members of MDeC, worked on Life of Pi while he was with Rhythm and Hues. He says we need successful companies and role models to encourage more talents to be a part of the creative multimedia industry. “Actually it’s not a mismatch of skills but a mismatch of expectations,” he says. “It’s very much a chicken and egg situation. Most say it’s the fault of our education system but on the other hand it’s also a matter of opportunity,” said Hasnul. “We need more successful companies and role models to encourage people to want to be part of the industry,” he says. Hence, there is a need for people who are trained and competent in the workflow of Game Development with very specialized fields of study. other entertainment medium out there so the potential for game developers out there are enormous and is constantly growing daily! Game developers are amongst the most highly skilled creative talent out there in the creative industry. To be a successful game developer, one not only has to figure out the problems of making a fun and entertaining game but also has to solve the complex production and marketing problems related to the industry. In order to gain the necessary skills to succeed in the competitive gaming industry, students should choose the best university in Malaysia for computer games design or game development to study at.